If you joined us for our last post, hopefully you have found a place to store all your precious knick-knacks so you can now tend to yourself within another very important aspect of the London flat. Every king of the palace needs a throne room, and it’s understandable why standards should be high for this. 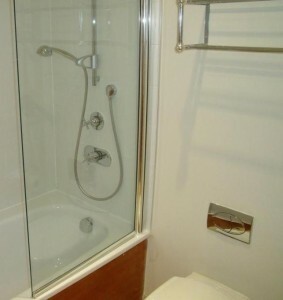 The “loo” (also commonly referred to bluntly as the “toilet”) serves multiple functions (which I won’t list out https://londonrelocation.com/blog/london-relocation-services/what-to-expect…-part-iv-a-k-a.htmlin the interest of propriety), so to meet these functions, the size of this particular room has grown ever larger in new construction or home renovations. Ladies like their counterspace and large tub to soak in, and men like a good mirror for shaving and enough room to comfortably…er…read. It’s not like I came from a home with a lavatory big enough to be a spa in and of itself with a mammoth jacuzzi tub, yet I still couldn’t help but fear a bleak bathroom future on my first several viewings of flats. What I saw most often were pedestal sinks with nary a shelf or cabinet to compensate for lack of counter space. Bathtubs (if there was one) were likewise diminutive (one must figure people themselves were smaller years ago) and showers were tight. You may also find that your shower is not its own freestanding entity, but instead a sort of after-the-fact head attachment connected to a pipe raised from the bathtub, the kind that has a cord so you can detach it, hold it in your hand, and aim it as you will. Clearly, there are always exceptions to the rule–my task here is simply to adjust your expectations so you won’t be disappointed, and many landlords have made much of what space they have with nicely renovated fixtures and tiling. Some of the quirks that may persist regardless, though, old or new, is that your Hot & Cold may be reversed and you may see two buttons for flushing the toilet (as pictured to the left. It’s simple, the smaller button is #1, the larger one #2. It’s all in the name of water conservation). A positive feature is the common use of towel warming racks in lieu of a radiator, perfect for those chilly winter mornings, and they dry your towels so much faster. Until next time in Part VI, London Relocation wishes you happy movements, I mean, moving!